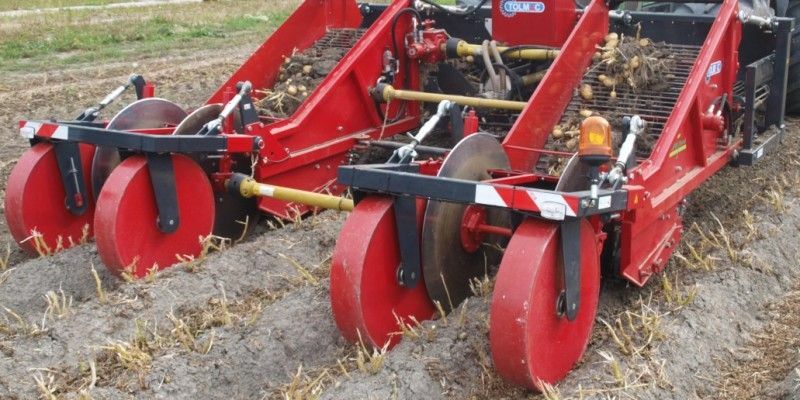 Change your 2-row into a 4-row harvester! 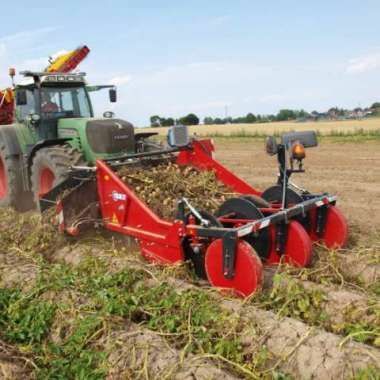 Front harvesters are available in different models and prepared for 30 – 36 inch (75 – 90 cm) rows. They are equipped with a so called “Diablo-free” intake, combined with large depth control wheels. This means optimal use of the short sieving way of the web(s). Hydraulic driven coulter discs ensure a gradual and trouble-free row intake. You are not only saving money, but also your soil! Instead of using narrow rowcrop tires, you can always use wide and low pressure tires. Moreover you are halving the number of passes. 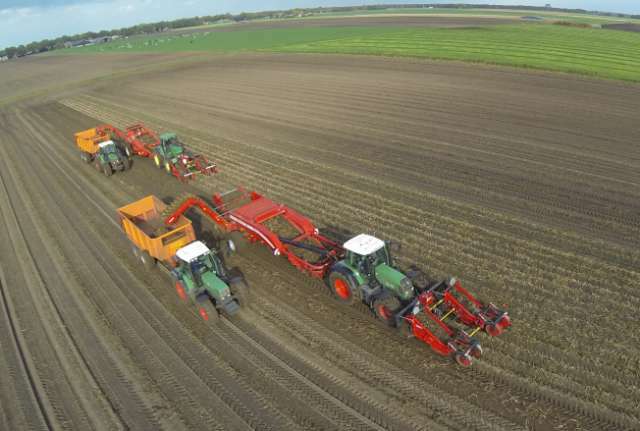 After harvesting you are looking at only half of your field tracks, not only from your tractor and harvester, but also from your adjacent moving tractor-trailer combination. What this will bring you, in terms of the current actuality of soil health and structure, needs no further explanation. 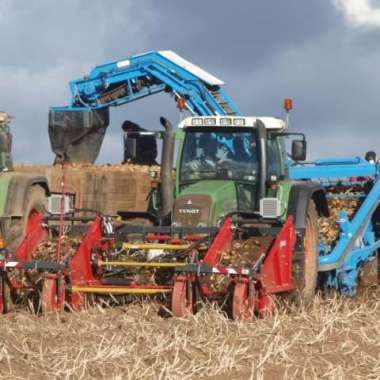 Paired to substantial savings on fuel, as well as machine and labour costs per acre, all of this will eventually ‘at the end of the day’ be beneficial to your wallet. Independant dept adjustment to the tractor by special towed geometric. ‘SpeedSync’ for automatical speed adjustment of web. To be used in combination with an offset bunker- or overloader harvester. The machine is equipped with unique “diabolo free” intakes. 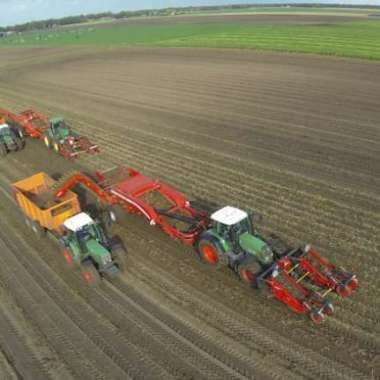 The 2 rows in front of the tractor (row 1 and 2) are harvested and transported to a tipped side conveyor belt, that gently places a windrow between the next rows to be harvested (row 3 and 4). 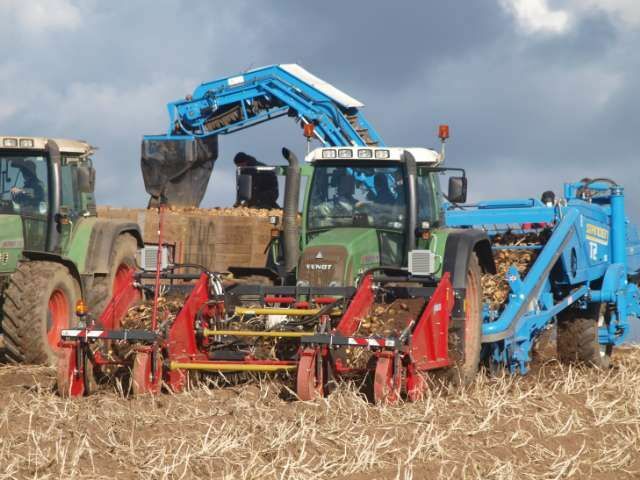 In this way your harvester increases capacity, being able to pick up 4 rows in the same time. For putting the MT 12 in transport mode it’s standard equipped with hydraulic side shift. 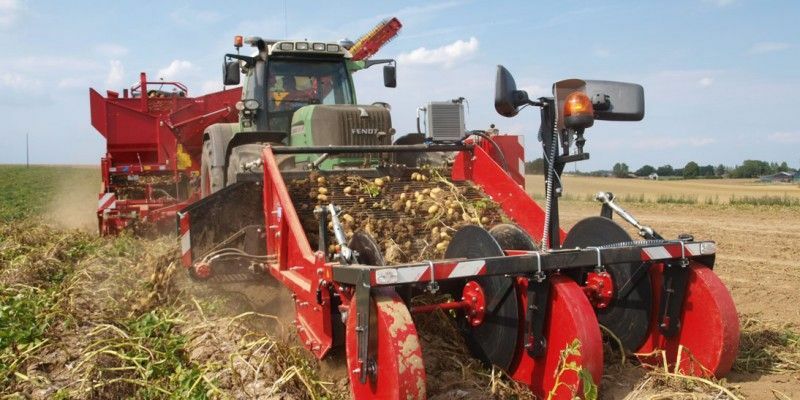 With this harvesting system, both harvester and tractor, are always able to use wide tires. 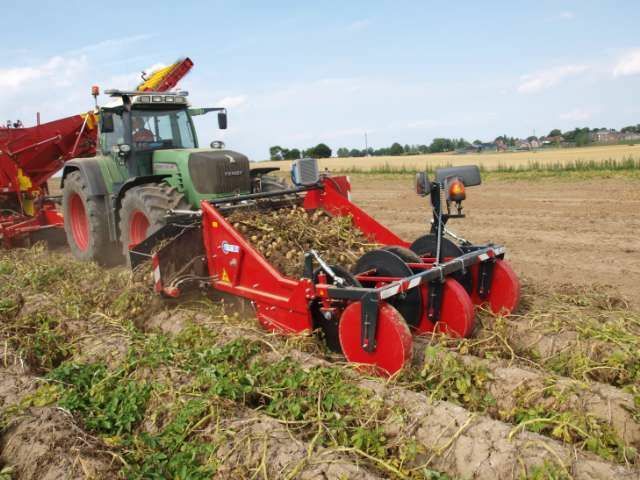 This front harvester works in combination with conventional centerline harvester systems. The machine is equipped with “diabolo-free” intakes. It harvests the two rows left and right of the tractor (row 1 and 4). Keep abreast of the latest developments, follow us!